New CAS Mascot Contest: Puella Magi Madoka Magica Ver. Been way too long since my last blog post. Here's a good way to get back into the game. After one year since my last contest, thought I'd spring you all another chance at some free figures for those talented anime artists out there. 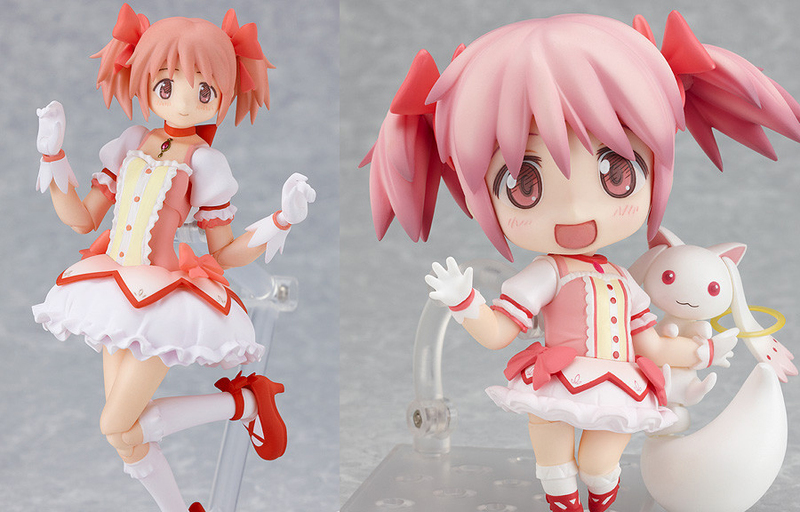 Last year (and still) Black Rock Shooter figures were the must have, but just recently, Max Factory/Good Smile Company announced the pre-orders are being taken for the Puella Magi Madoka Magica Madoka Figma and Nendoroid figures. These figures don't come out until the end of the year and already stores are running out of pre-order reserves. One person will win the first place prize, both a Nendoroid and a Figma Madoka figure. The last contest was to create the banner and finally bring our mascots we've had on the site since 2003.. to life. Last year's winner, Kenneos did an amazing job in particularly drawing the now fan favorite shrine maiden, Yumi. This contest will be similar. A few months ago, Yumi, Fumi and Lily's creator (my fiancee Danielle) created a Kawaii version of the blog, aimed to an anime girl's point of view. As you all can see from the blog section, we are lacking a custom banner showing our mascots. Use the mascots page as reference in the general submission and if you want to do the optional videogame art as well. Good luck and it's good to be back in the blogging routine again.